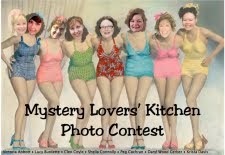 Mystery Lovers' Kitchen: 3 Cleo Coyle Holiday Recipes and a Book Pub Party! 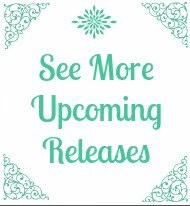 3 Cleo Coyle Holiday Recipes and a Book Pub Party! What do you most look forward to tasting every holiday season? Pumpkin pie? Gingerbread? Sugar cookies? Candy canes? Rum balls? Stollen? Panettone? Latkes? 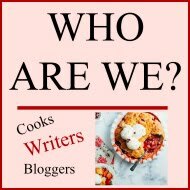 Leave your answer in the comments section of this post and help me kick of the holiday cooking (and eating) season! So what's my favorite holiday food? When I was a little girl, my Italian-born aunt taught me (just as her aunt taught her) how to fry up crispy-sweet bowtie cookies and dust them with powdered sugar. Aunt Mary is gone now and I deeply miss her, but whenever I cook and bake the foods we prepared together, it always brings her back to me. 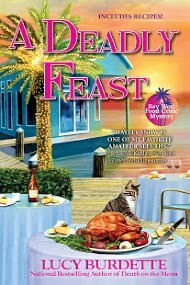 This Proustian idea of foodie memories is exactly what inspired the culinary theme in Holiday Grind. 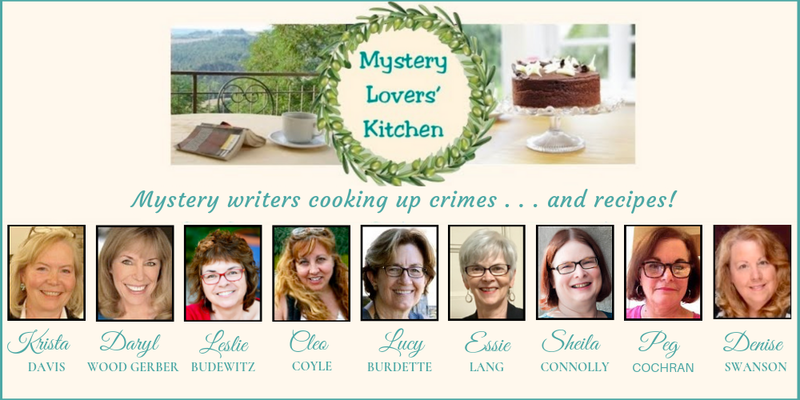 At the start of the book, Clare Cosi (my series' amateur sleuth) holds a latte tasting with her coffeehouse staff, asking them to share their most powerful holiday flavor memories. 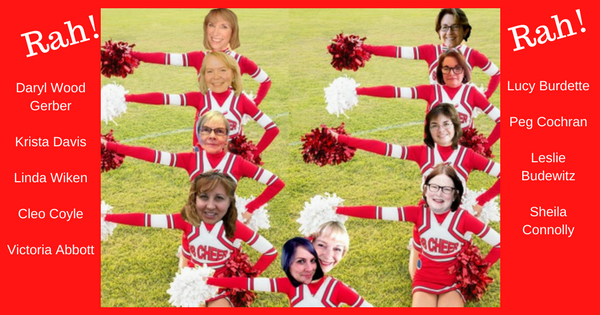 Clare uses their answers to create a menu of Fa-la-la-la-lattes (yes, a bit twee-sounding, but effective). The coffee drinks bring remembrances of holidays past to her customers. They become so popular they actually save her shop from the ravages of the tanked economy. Even better, this winning idea came from Santa himself, a genuinely jolly stand-up comic named Alfred Glockner who collects for charity near Clare’s coffeehouse. Clare's grown very fond of Alf, and when she finds him cruelly gunned down in an alley one snowy December night, she’s more than devastated. She’s angry, especially when the police claim Alf’s killer was no more than a random mugger. Clare believes otherwise and sets out to find the truth. During this nearly impossible quest, she butts head with a street-hardened NYPD sergeant (who’s more interested in Clare than her theories); gets herself arrested; disguises herself as Santa’s little helper; and endures more than one attempt on her life. In the end, she manages to reclaim her holiday spirit, something Alf, with his humor and generosity, embodied from the start. 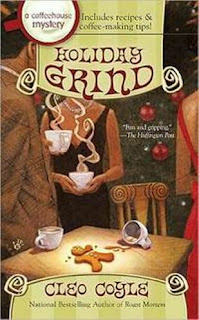 Thanks to my awesome readers, Holiday Grind became a Top-10 national mystery bestseller in hardcover last year. 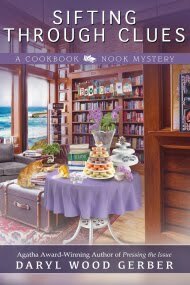 With its release in paperback this month, I hope even more readers will be able to enjoy the story—and the bonus recipes. As a special gift to the many CM readers who tell me how much they enjoy my recipes and tips, I made Holiday Grind's recipe section extra large with holiday cookie and candy recipes, a glossary of coffeehouse terms, and instructions on making your own coffeehouse drinks (including lattes and cappuccinos) without an expensive machine. 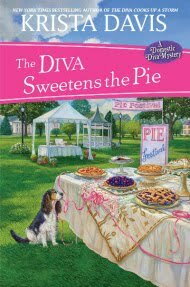 I even included recipes for flavored syrups like chocolate, caramel, gingersnap, apple cider spice, raspberry, and more. Well...one of our local radio stations began with 24/7 Christmas music so I guess it is time to drag out all the family faves!! By your description the bow tie cookies sound like the ones that my husband refers to as Angel Wings. He has wonderful memories of his mom baking over 40 different kinds of cookies for the holidays!!! Thank goodness he has those memories 'cause his wife doesn't do that!!! I know that this release will be just as wonderful as the hardcover one was...I know I'll be getting mine this weekend!!! My favorite thing to taste is hot spiced apple cider and hot chocolate (not together!)YUM! I like Christmas cookies and I love baking them. But I need to lose 20 pounds so can't make many this year! Eggnog is my absolute favorite thing to come out of the holiday season. We have a local dairy that makes an absolutely divine "eggnog flavored lowfat milk" and every time I see one of their drivers I go into attack mode asking if it's almost out yet. I so enjoy your blog. I love the holidays because of all the cooking and cookies, Lots of cookies of any kind and always looking for new recipes. And anything with cranberries. I'm down to my last two bags in the freezer and am starting to panic. Of course eggnog. As long as the grocery has it on their shelf I have it in my refrigerator. I'm glad I didn't have to choose just one item. Many years ago, before I was married, I had a roommate who made stollen every year. Great roommate--terrible stollen, resembling concrete. 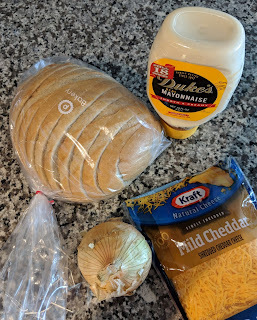 I swore I could do better, and I have, but nobody else in the family likes to eat the stuff (hey, it's great toasted, with lots of butter--but what isn't?). I also had a deadly recipe for egg nog made from scratch, which as I recall involved at least a bottle of the hard stuff. Don't make that any more, nope. Now I want egg nog cookies!!! And that great coffee cup cookie cutter! I love peanut butter balls. Peanut Butter balls - Yes!!!! This isn't something that I enjoy but instead something that I make that everyone else enjoys.... homemade chocolates. It started small (chocolate covered cherries) and has blossomed into about ten different varieties (peppermint patties, peanut butter cups, maple walnut, etc.) We give small boxes of chocolates to the mail deliverer, teachers, friends, the newspaperperson... I am told that recipients look forward to these all year long. 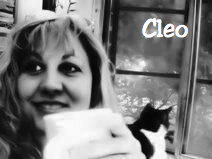 What a fun post, Cleo! Congrats on the pb release of Holiday Grind. I love your books!! So much fun. So exciting. Christmas means homemade gingerbread with wacky colored icing, spritz cookies, and Italian cookies. Nobody here is Italian, but a former neighbor gave me the recipe (I think they're wedding cookies) and I am nuts about them. Delicious little treats. Happy to see you here on Tuesdays! I really look forward to the spiral-sliced honey ham we have on Christmas eve. When it's gone, I save the bone and make bean & ham soup. I think I love the soup even more than the ham! Pumpkin Pie....all-time favorite holiday food! I look forward to baking (and eating) gingerbread men! And candy canes of course. Oh, and these miniature cheesecakes that my father's mother makes on Christmas day. Ah, they are too die for! When my mom's mother used to talk to me (she doesn't anymore), she'd bake these buckeyes that I looked forward to every year. One of my all time favorites is Gingerbread. It is just such a wonderful homey wintertime treat and always reminds me of the holidays. I like having chocolate pecan pie around and drinking apple cider or eggnog around this time the holiday season. I love sugar cookies. I bake them for Christmas and I always decorate them with green and red sugars. I always make them thin and crunchy.